This triptych is inspired by Gabriel García Márquez´s Love in the Time of Cholera. Fermina marries Dr. Urbino and gets pregnant. There is always a melancholy feeling in the book that I tried to translate into the illustrations. 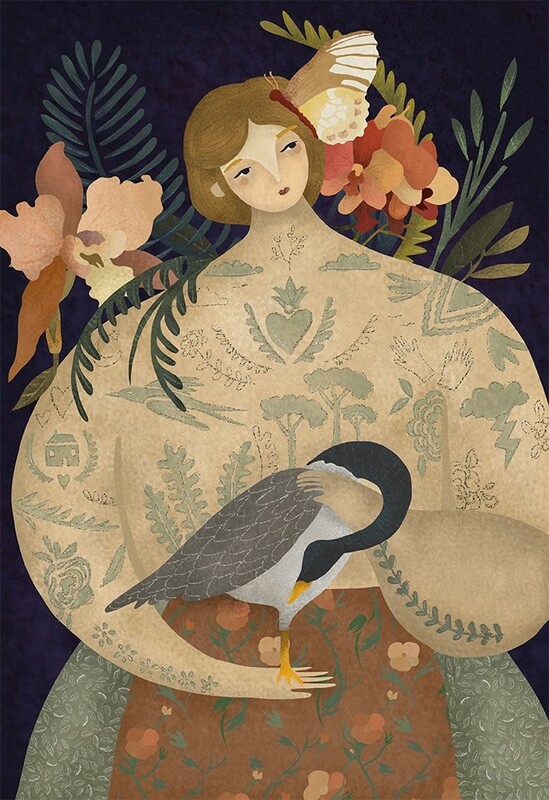 This is an illustration inspired by Mary Oliver´s poem "Wild Geese". Textures and patterns are very important in my work, same as earth colors that bring me back to my childhood in Colombia.